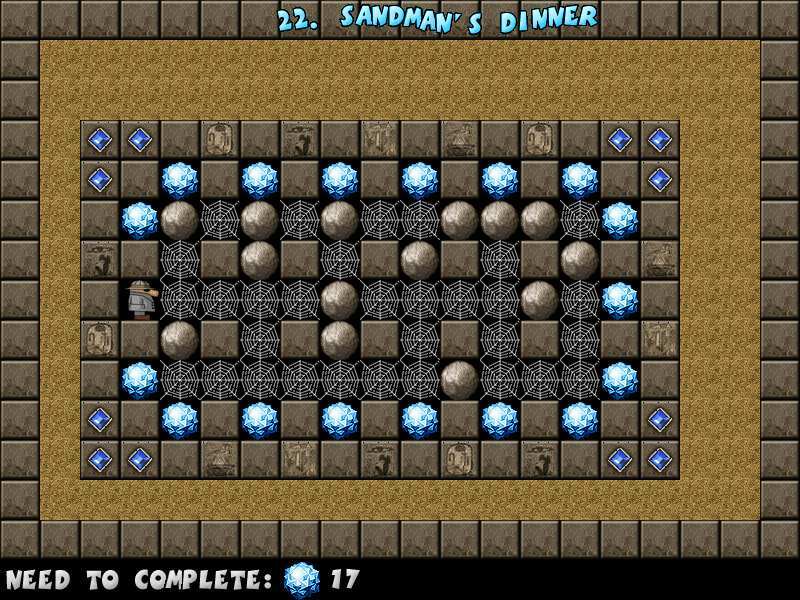 Crystal Cave Gold is a supreme family-fun puzzle game. Collect all crystals from ancient lost tombs. Challenge your brain! Crystal Cave Gold Search long-lost treasures in pitch black caves, pyramids and dark tombs of ancient temples in this wonderfull puzzle game! Huge gemstones were sheltered from the sunshine for eons of time waiting for those who are brave. You as an intrepid tomb seeker must resolve puzzles of pharaohs, aztecs, fight kings and show courage in many adventures to get them all. 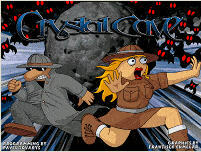 Crystal Cave Gold contains more than 100 levels sorted by the difficulty in three graphic scenarios, with lots of logical riddles as well as action elements. Use boulders, different types of rocks and teleports to get gems and to escape from monsters. Great fun for the whole family! Great fun for the whole family! 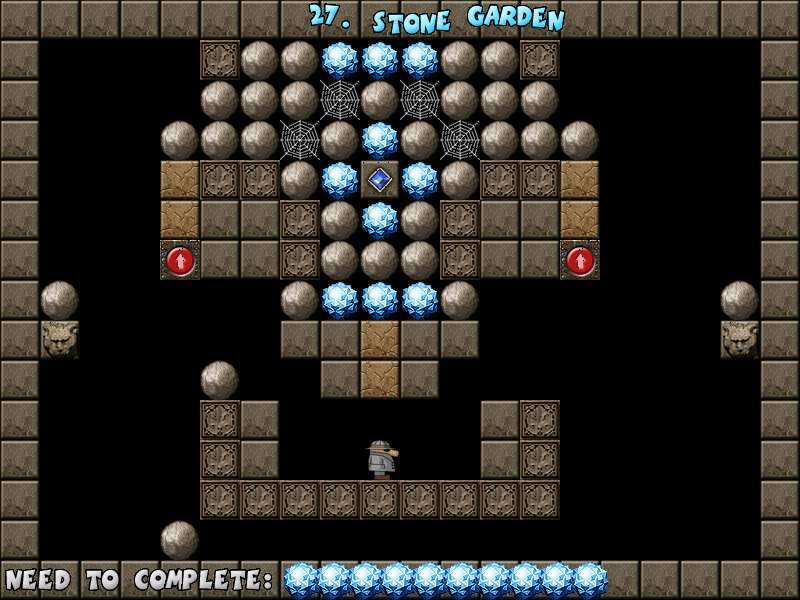 Use boulders, different types of rocks and teleports to get gems and to escape from monsters. 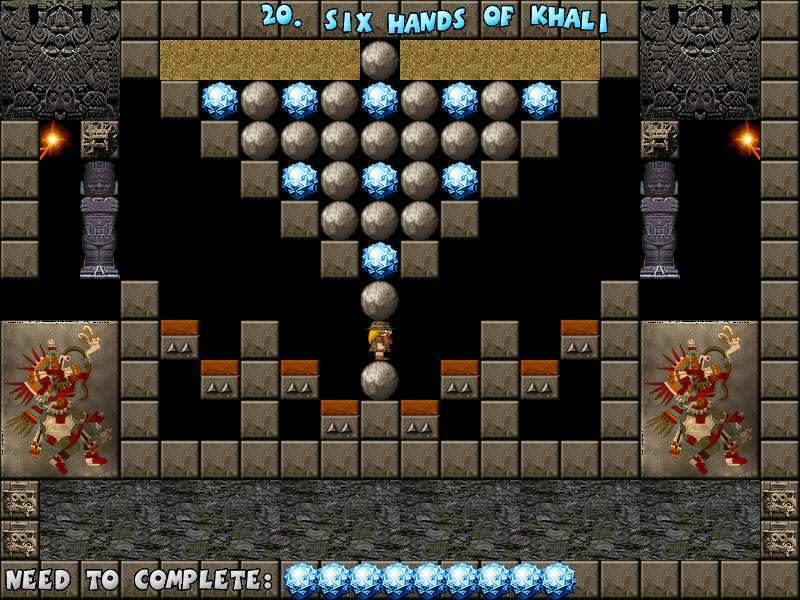 Crystal Cave Gold contains more than 100 levels sorted by the difficulty in three graphic scenarios. Helicopter Game - The ultimate helicopter game with great graphics and gorgeous effects awaits you! Luxor Game - An action-puzzle game that takes you on a thrilling adventure across the lands of Ancient Egypt. Hot! Championship Spades Game - A versatile spades card game with playful characters who captivate your family while mastering your skills. Lemonade Tycoon Game - A cool twist on business simulation Lemonade Games. Grow a little stand into a big business. Game Cloner - copy various kinds of Games, PC Games or TV Games, Copy DVD Games or CD Games etc. Library of the Ages - The books in Library of the Ages are in disarray! STOINK! - Fun to say, even more fun to play! Mah Jong Medley - Now you have 4 exciting ways to play Mah Jong Solitaire. Get your free Mah Jong tiles trial now! Mah Jong Quest - More than an addictive puzzle game, this is an original cinematic experience. MahJong Suite 2005 Game - MahJong Suite 2005 features 2 collections of professional and exciting MahJong Solitaire Game in one! AstroPop Deluxe - Blast off with earth-shattering arcade puzzle action ! New enhanced AstroPop Game Deluxe Version for you !